Kidney stones are mineral crystalizations that are formed from imbalanced mineral ions in the urine. You can prevent kidney stones formation and reduce recurrence by about 70-80% by making simple changes to your diet and lifestyle. 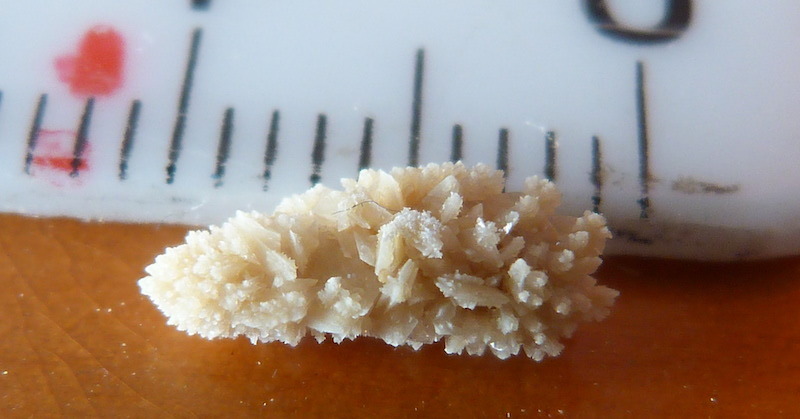 Below is an image of a crystalized kidney stone. Individuals with history of kidney stones will know how excruciatingly painful and crippling it can be, so let’s see how we can prevent that from recurring. Typically, our kidneys are not meant to form stones, but with some people their urine contains more crystal-forming substances—such as calcium and uric acid—and little water in the kidneys to dilute them. Underlying causes may be a metabolic disorder, kidney disease, drugs/medications and other factors that create a favorable environment for stones to form. Calcium stones: This is the most common type, calcium oxalate. Oxalate is found in some fruits and vegetables such as in dark green vegetables, nuts and chocolate. Struvite stones: Usually found in women, often formed as a result of urinary tract infections. Uric acid stones: These are byproduct of protein metabolism, commonly seen with gout, due to certain genetic factors and disorders of your blood-producing tissues. Cystine stones: These are less common and are a result of a hereditary disorder that causes your kidneys to excrete massive amounts of certain amino acids. Do Kidney Stones Require Medical Help? Kidney stones can range in sizes from the size of a grain of sand to larger than a golf ball. Small ones may pass through your urinary tract unnoticed but larger ones can cause excruciating pains, and if a stone fails to pass it may cause permanent damage to the urinary tract as a result. There are several medical procedures and surgical techniques that can be used to treat kidney stones but are not recommended, unless there’s no choice. An advanced option other than surgery, is a treatment such as extracorporeal shockwave lithotripsy. This treatment entails being submerged in a tub of water where sound waves traveling through the liquid will shatter the stones to be passed out over the next few days or weeks. In most cases, the best way is to let the stones pass on its own. It may take days or weeks by drinking plenty of pure water to reduce the concentration of solids in your urine to allow them to be dissolved. Some of the lifestyle changes below need to be followed to help speed up the dissolution of the stones. Most often, with lifestyle changes and proper care, it is possible to prevent kidney stones. These steps should be taken especially by those who have a history of kidney stones. The number one risk factor for kidney stones is not drinking enough water. If you are not drinking enough, your urine will have higher concentrations of substances that can form stones. An easy way to check if you are drinking enough water is to check the color of your urine. It has to be a very light yellow. Read how much water you should drink daily. If you happen to be taking any multi-vitamins or B supplements that contain vitamin B2 (riboflavin), the color of your urine will be a very bright, nearly fluorescent yellow. This will mar your ability to take the urine color as a guide to your level of hydration. When your brain signals the need to empty your bladder, get to the washroom and do it! Regularly holding in urine can damage your kidneys. When urine remains in the bladder for longer than necessary, it causes bacteria to breed and multiply. This can cause a bladder and urinary tract infection. Retaining urine also increases the pressure on the kidneys and eventually lead to renal failure and incontinence. Respond to nature call signals and do them! Magnesium deficiency may be linked to kidney stones as it plays an important role in your body’s absorption and assimilation of calcium. Consume too much calcium without adequate magnesium can cause the excess calcium to become toxic and contribute to kidney stones formation. Magnesium helps prevent calcium from combining with oxalate to form the common type of calcium oxalate stones. Some excellent sources of magnesium are from green vegetable juice, beans, almonds, pumpkin and sunflower seeds. Avocados are also a good source and are very versatile for using in your dietary. Have you ever wondered why diabetics have a higher chance of kidney failure? Sugar. An overload of sugar in the blood increases the risk of many diseases, especially of the kidneys. Studies have shown that drinking a can of soda daily provides a high amount of sugar into the blood system, that causes the body to be acidic. Sugar is an anti-nutrient that depletes your body of nutrients. Drinking soda excerbates conditions in your urine that lead to formation of calcium oxalate kidney stone problems. It increases kidney size and produce pathological changes in your kidney, such as the formation of kidney stones. If you have a history of kidney stones, you should avoid eating foods and drinking beverages that are high in sugar. Sugar from fruits can normally be easily assimilated by individuals without kidney issues, but not if you have a kidney issue. Drinking alcohol in moderation is fine, but drinking excessively and regularly can compromise your kidneys’ functions, and impair their ability to regulate the volume and composition of fluid and electrolytes in the body. It dehydrates the body and leads to low blood concentrations of key electrolytes as well as potentially tip the body’s pH balance to become more acidic. Alcoholic beverages causes uric acid to be deposited in renal tubules, leading to tubular obstruction that increases the risk of kidney failure. It has been found that having more than four drinks a day can double the risk of chronic kidney disease. Heavy drinkers who also smoke increase their chances of developing kidney disease by five times, when compared to people who don’t smoke or drink. People who smoke are more likely to have higher levels of protein in the urine—a sign of kidney damage. Although we now understand that excess calcium and drinking inadequate water may cause calcification of stones, it is nonetheless important to eat foods high in calcium. Calcium from foods are beneficial and necessary as they bind with oxalates (from foods) and prevents both from being absorbed into the blood and later transferred to the kidneys. Calcium extracts (supplements) and from cow’s milk are NOT good sources of calcium. Individuals with kidney stones history are better off avoiding these sources of calcium. Good sources of calcium that can be made bioavailable to the body, may be obtained from most vegetables, especially “crunchy” ones such as asparagus, celery, broccoli, carrots, kale, cucumber, etc. When you eat foods high in sodium, your kidneys need to work harder to excrete the excess salt. This in turn can lead to decreased kidney functioning, causing water retention in the body. Water retention can cause a hike in blood pressure and increase the risk of developing kidney disease. Excess salt is often hidden in processed foods that are labelled by various names. You may be eating a diet high in salt and not know it. Beware your kidneys! To those who are prone to kidney stones, soy products that contain high levels of oxalates can bind with calcium in the kidney to form kidney stones. This is one of the reasons why soy products are not health foods. On the other hand, fermented soy products is quite another thing. After a fermentation process, the phytate (which blocks our body’s uptake of essential minerals) and and the anti-nutrient levels of soy are reduced, making fermented soy more beneficial to your digestive system. 10. Stop Using OTC Painkillers! Many people have the habit of taking over-the-counter painkillers to control every little pain instead of using natural remedies. There are pills for fever, for cold, for inflammation—all these can be very damaging to the kidneys. Same goes with long-term medications. Pharmaceutical drugs reduce blood flow to the kidneys, affecting their functions. Long-term use of these drugs can cause acute renal failure. 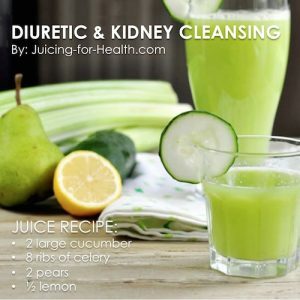 A diuretic refers to a drug or food that increases the passing of urine for various reasons, either to increase loss of water and salt from the body, or in cases of infection, to be rid of bacteria in the kidneys or bladder. 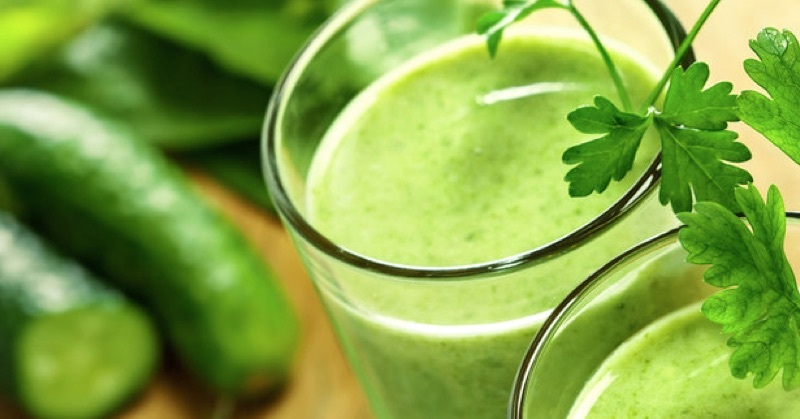 This juice recipe helps increase urination that cleanses the kidneys and prevent stones formation. Drinking plenty of water along with drinking this juice is essential for better prevention or for dissolving stones that are already formed. Another food that is excellent for breaking down kidney stones is watermelon and its rind! Go here to learn more about watermelon rind. This broth is one of the best for cleansing kidneys and is beneficial for individuals with kidney disease. The key ingredient that heals, is celeriac. Read more tips on how you can do a complete kidney detox. This article was originally published in DrMercola.com.